An affiliate of for-profit Prime Healthcare Services has agreed to buy 297-bed Mission Regional Medical Center to expand its reach in southern Texas. Prime's not-for-profit affiliate, Prime Healthcare Foundation, expects to close the acquisition by June 30. Terms of the deal were not disclosed. Ontario, Calif.-based Prime Healthcare owns two other not-for-profit hospitals near Mission, Texas, which is located in the Rio Grande Valley along Texas' border with Mexico. As part of the definitive agreement with Mission, Prime Healthcare Foundation committed to maintaining Mission Regional as an acute-care hospital, strengthening physician recruitment and providing several million dollars in capital over the next five years, Prime Healthcare said in a statement. 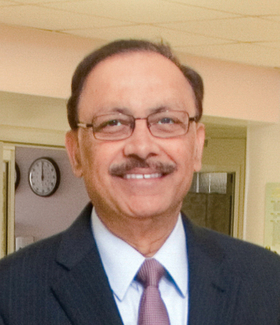 "We recognize the hospital's successes and will partner with physicians, nurses, employees and the community to preserve this valuable healthcare institution for generations to come," said Dr. Prem Reddy, Prime Healthcare's CEO. The agreement also includes a management agreement with Prime Healthcare Management until the transaction closes. Prime Healthcare owns 44 hospitals nationally, including 12 not-for-profit hospitals through its Prime Healthcare Foundation.